Access the original press release here. NEW YORK, Nov. 15, 2017 /PRNewswire/ — Looking good and feeling good are closely aligned, which is why Virtual Health Partners, Inc. (VHP), a virtual wellness and weight loss company, today announced a partnership with MedResults Network (MRN), the premier buying network for medical spas and aesthetics physicians. MRN will be introducing VHP across their network of 3,000 members, highlighting the correlation between overall wellness and the results of cosmetic treatments. The partnership reflects VHP’s dedication to providing live, virtual wellness support and nutritional care to clients of plastic surgeons, medi-spas, and aesthetic medical physicians anywhere, at any time. MRN members will have the ability to offer their patients virtual access to a team of wellness specialists through their phone, computer or tablet. Patients will be able to schedule live 1:1 nutrition appointments and access live, virtual nutrition, fitness& lifestyle modification classes, and a library of on-demand resources. 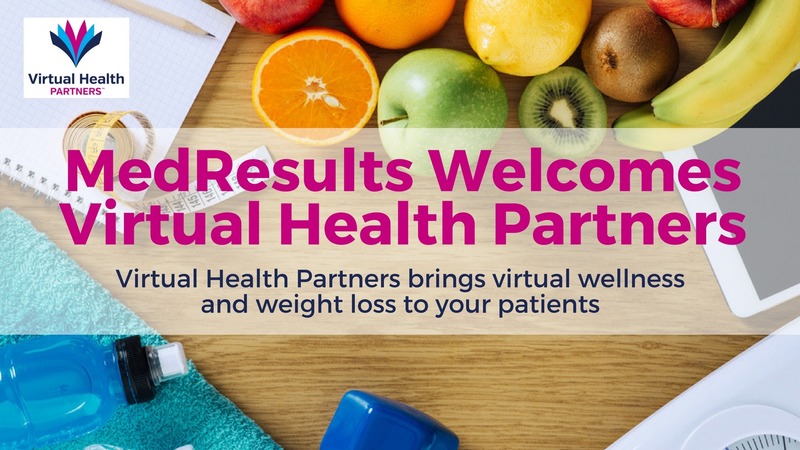 Virtual Health Partners, Inc. an innovator in wellness and weight loss, offers a comprehensive program recommended by physicians, fitness, wellness and health experts around the world. The HIPAA compliant program includes live one-on-one nutrition appointments, fitness classes, and lifestyle modification coaching by a team of wellness specialists. Clients can only receive an invitation through a participating VHP partner – medical providers, fitness centers, medi-spas, pharmaceutical, medical device or nutritional supplement companies. All coaching is done through a mobile app, tablet, or computer, with live support available 7 days a week. For more information, visit www.virtualhealthpartners.com. MedResults Network is a free membership buying group that offers instant discounts and quarterly rebates at no risk or obligation. They have partnered with over 50 leading national vendors to negotiate cost savings for its members in product categories including dermal fillers, lasers, skin care, and more. Since 2008 their leadership team has worked closely with both their members and partners to ensure their continued growth and success. For more information, visit www.medresultsnetwork.com. © 2017 Virtual Health Partners, Inc. All rights reserved. SOURCE Virtual Health Partners, Inc.